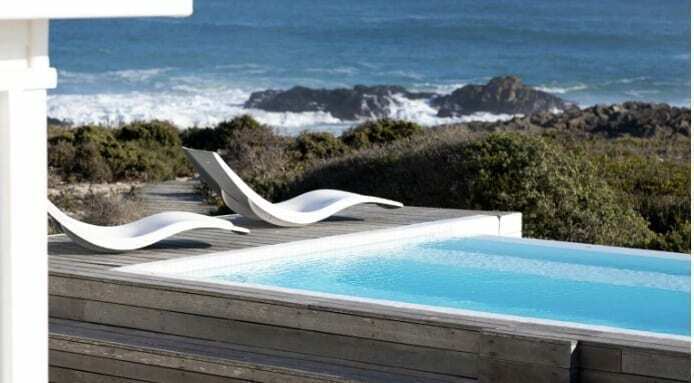 WIN A FABULOUS MIDWEEK BREAK ON THE WEST COAST WITH THE BEACH HOUSE COLLECTION | Eat. Play. Drink. Cape Town. 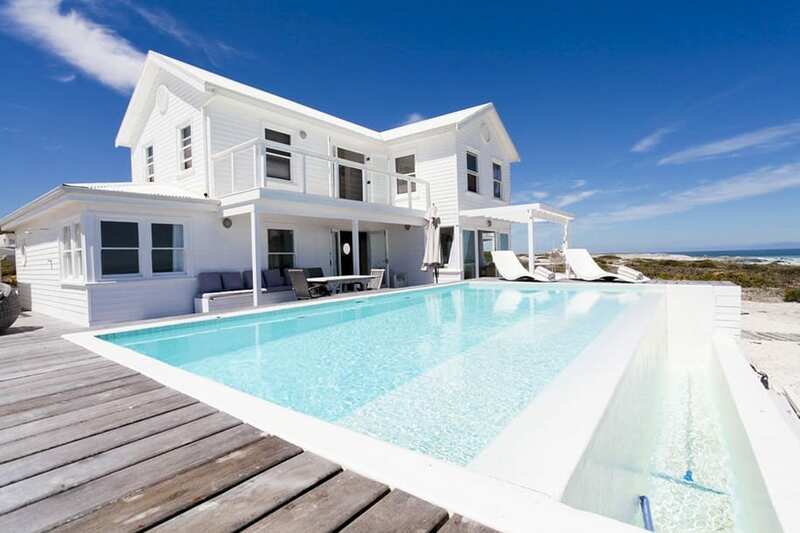 THE Beach House Collection comprises three spectacularly gorgeous homes in Yzerfontein, and this month I am delighted to announce they are offering an Eat Play Drink Cape Town subscriber the chance to win a two-night midweek stay in one of them during October. Earlier this year, I went to an interactive cooking weekend at Thyme & Tide, which you can read about here; the second house is called White Sands, and the prize up for grabs is Pearl Bay beach villa, which has two king-sized bedrooms upstairs, a third bedroom downstairs, and yet another king-size one in the boathouse. This means it can sleep eight people, so best you begin refining that crème de la crème friends list. The upstairs bedrooms share a shower and bathroom, and there’s a separate toilet for modesty’s sake. The downstairs bedroom can be set up with a king-size bed or two single beds, and has its own private bathroom with shower (and a guest loo). The crystal clear infinity pool offers a refreshing escape and makes for a perfect photo opportunity, as you can see. The large open plan lounge, dining room and kitchen area is light and airy, and leads out onto the sun-drenched wooden deck and pool, perfect for indoor and outdoor entertaining. The kitchen is a dream, and there is a walk-in pantry; my life goals fluctuate between one of those and a dedicated separate dressing room/closet. Evenings can still be a bit cool at this time of the year, being so close to the ocean and all, so there is a log burning fireplace. The large barbecue can be moved according to the weather. The Pearl Bay rate for October is R7500 a night. For more information, call Denise Cowburn-Levy on 083 251 6282, email denise@ctprod.co.za, or click here. What a truly magnificent prize! Holding thumbs we are chosen. Now this is exactly the kind of break me and my wife need. Total relax. Oh WOW.. looks to stunning! Fingers cross to win! Sounds like a break I could do with. How divine and how generous. Would love to have a break. Love the West Coast! Jeez. Have nanny, will travel. Can almost taste the bubbly and oysters already! ooooooooooh yes please!!! Oh wow what an amazing prize, just what I would need after a hectic work period! I would love to win this prize for our baby moon. My partner and I are expecting our first baby and we’d love to get away one last time just the two of us before the baby arrives. White Sands looks like the perfect getaway. Beautiful house in a stunning location. Wow! This would be amazing for our family….. we need a break desperately! Oh Wow this beach house is simply stunning! Perfect getaway for hubby and me in celebration of our 17th Wedding Anniversary a real mini 2nd Honeymoon 😍😍Fingers and toes and everything else crossed for this amazing prize. Fabulous prize! Holding thumbs ! What an absolutely stunning prize to win. Such a beautiful home away from home. Would be such a lovely destination for a midweek break. My partner and I would LOVE to be able to experience this! Holding thumbs! Can’t think of a better way to spend precious time. Gorgeous! Oh wow, utterly beautiful and sublime getaway spot. Bianca, you have been lucky enough to enjoy this, now it’s our turn. What a wonderful opportunity to stay in such a wonderful house before my husband starts with his chemo. We definitely need this getaway! It sounds like absolute heaven – and so close to Cape atoen 😃😃😃 A definite must-see! Tranquil, sublime, battery charge weekend, what an awesome prize! Would love to win this fantastic getaway! What a great spoil 🥂🍾in a lovely place! Hoping I’m lucky enough to win this…it would make for an awesome anniversary gift! Such an amazing prize. Would love to win this for my 7 year old daughter who keeps asking me if we can go away. She would absolutely lovethis. What a fabulous way to share such a stunning property – here’s holding thumbs to winning a getaway! Wonderful venue.. amazing. I would love to win..